The Central Kalahari Game Reserve was created in 1961 as a “place of sanctuary” for the Bushmen to live in. Now these Bushmen hunters are being starved off their land in the name of conservation despite diamonds being mined inside the reserve. 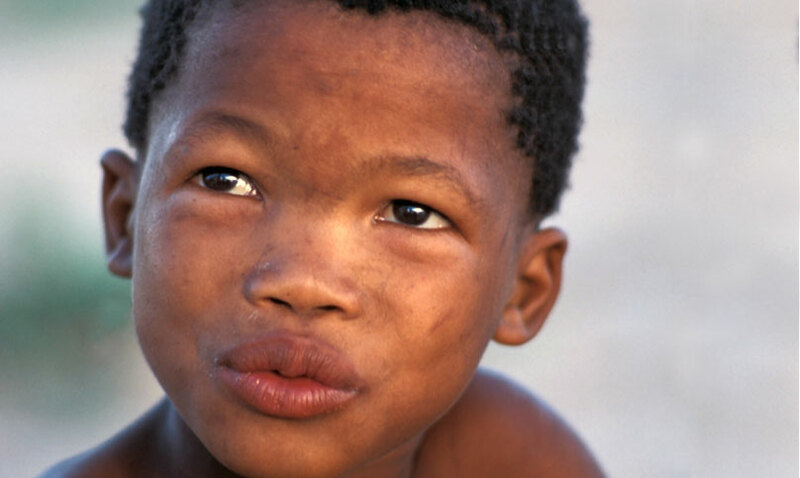 The Bushman tribes of the Central Kalahari Game Reserve are the last Bushmen to largely depend on hunting in Africa. They were illegally evicted from their ancestral homelands in the name of “conservation”. Although the tribes won an historic legal battle to return to their land, the government is using hunger as a weapon to ensure it gets its way. Government officials have admitted that the Bushmen do not hunt with guns and there is no evidence that their hunting is unsustainable. Despite this, in 2014, President Khama acted against the constitution, and imposed a nationwide hunting ban; international conservation organizations have heaped praise on him. Private game ranches, however, are exempt from the ban. 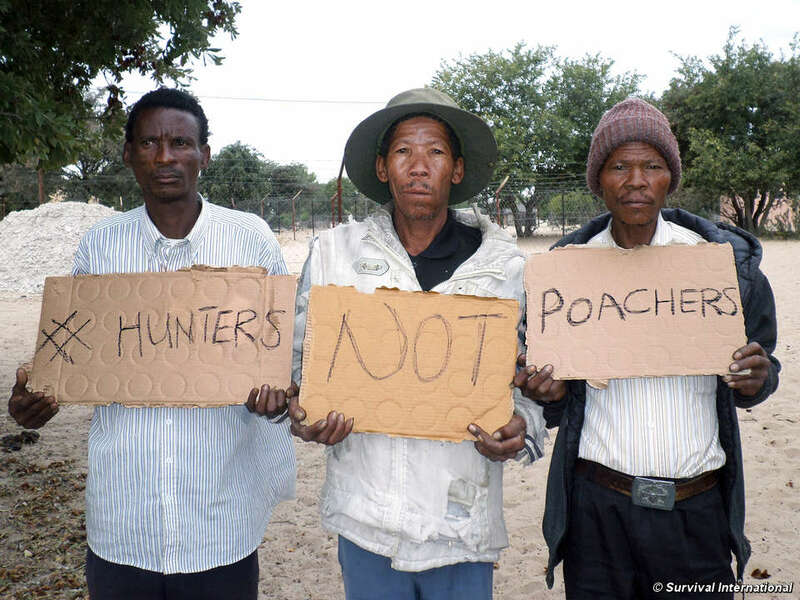 The Bushmen are accused of “poaching” because they hunt their food. And they face arrest, beatings and torture, while fee-paying big game hunters are encouraged. The Bushmen, as hunter-gatherers, are being starved off their land. With no way to feed themselves in the reserve, they are forced once more to return to government resettlement camps or “places of death,” as they call them. 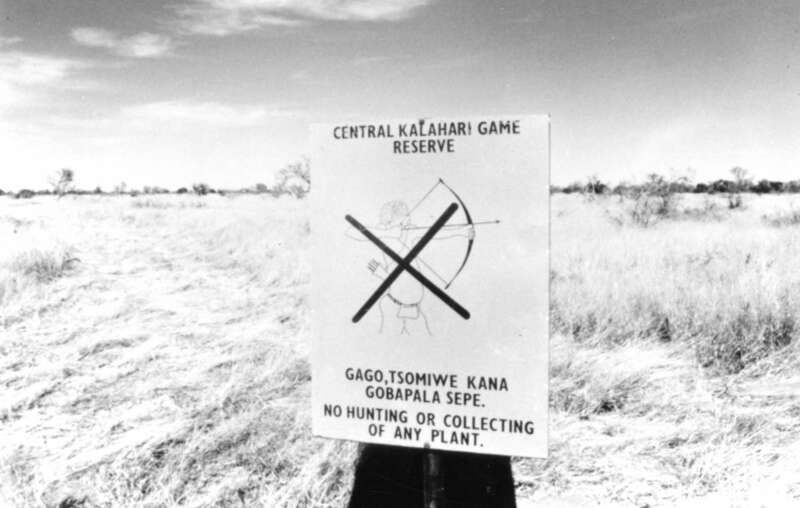 Notice banning Bushmen from hunting at the entrance to the Central Kalahari Game Reserve, Botswana 1989. In a final bid to ensure their survival, the Bushmen are returning to the courts. This time, they are fighting for their right to hunt in the reserve to be respected by government. Survival is working in partnership with the tribes to support them in their struggle. We give the Bushmen a platform to speak to the world about their abuse. By lobbying government and the conservation industry, we aim to overturn the unlawful hunting ban. We need your energy and enthusiasm to succeed. Please raise your voice in support of the tribes’ right to hunt for food on their ancestral homelands. Racism among the governing elite in Botswana means the Bushmen are typically treated as second-class citizens, their human rights trampled on. Survival has publicized the torture of Bushmen at the hands of the wildlife authorities since the 1990s. In 2012, park guards tortured two Bushmen they accused of killing an antelope. One of the victims, Nkemetse Motsoko, passed out after police suffocated him and buried him alive. He told Survival, “I don’t know how long I was in there because I lost consciousness. I thought I was going to die.” When paramilitary police attacked Mogolodi Moeti in 2014, they told him they were making an example of him, to dissuade others from returning to their homeland. Survival is investigating these atrocities and presenting evidence to the United Nations and other international forums. We also support legal representation. But we depend on you. We need your money to help us fight this urgent and horrific humanitarian crisis. Please give now. 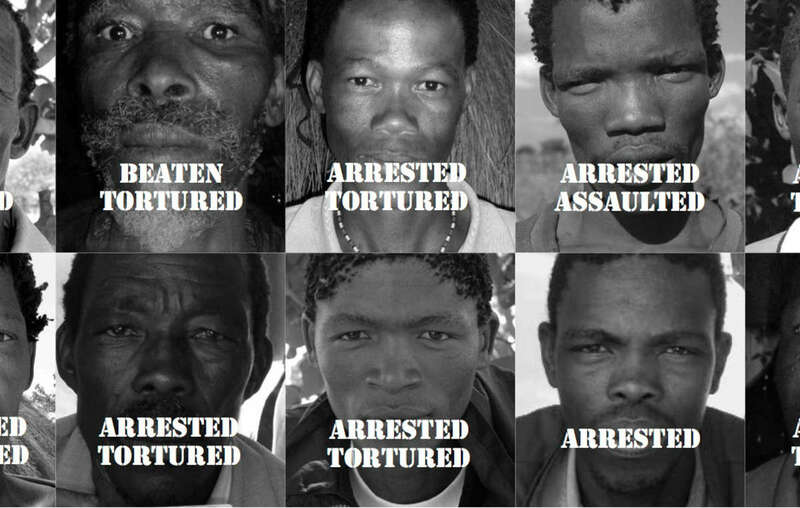 Bushmen men who have been arrested and tortured for hunting to feed their families, Botswana. Gakeitsiwe Gaorapelwe was arrested and tortured by wildlife scouts, Botswana. Two wildlife scouts tied my hands behind my back and threw me into their Land Rover. While I was lying down they jumped on my back wearing their boots. My daughter was crying and crying, thinking I was being killed. She had a 10 month old baby, and the wildlife people threw them both to the ground. The wildlife people took us away for six days. They told us to line up naked in front of the Land Rovers. We were tied upside down and handcuffed to the Land Rovers with our feet tied to the bullbars. The government was showing me the end of my life; they have killed me. 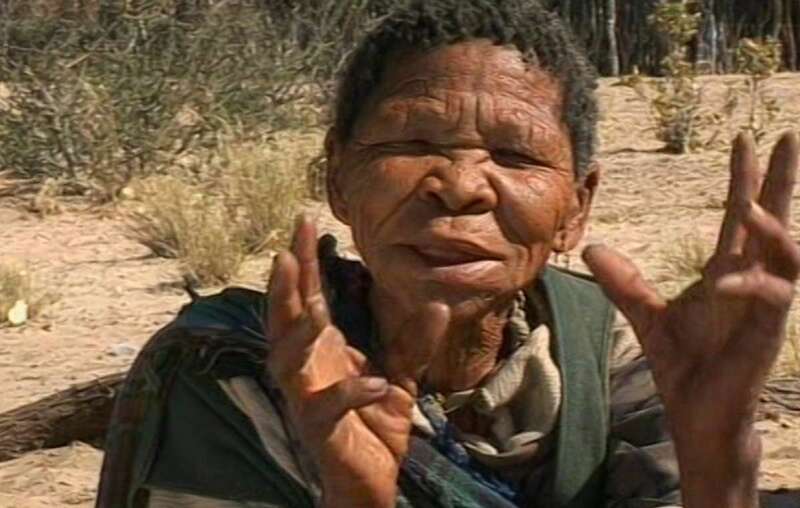 Marama Phologo, a Bushmen man who was arrested, beaten and accused of hunting, Botswana. The Bushmen rely heavily upon hunting and gathering to feed their families. They kicked me like a ball and were punching me from one person to another. They were holding my shins against the pole. I was beaten on the thighs by five people. On Thursday when they released me I’d had no water for two days. My body is painful and my eye doesn’t work. One person coming looks like seven. My neck is very painful because I was kicked there. These people should show me the eland which I have not killed. They should prove I did it. The Central Kalahari Game Reserve lies in the middle of the richest diamond-producing area in the world. 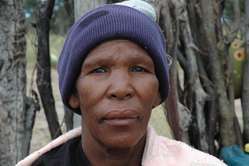 For years, the government claimed that the eviction of the Bushmen was motivated by conservation and had nothing to do with mining. Yet in 2014, a diamond mine worth billions of dollars opened inside the reserve, on the Bushmen’s ancestral land. Conservation, it seems, was just an excuse for removing the Bushmen. Their way of life is entirely compatible with conservation: the Bushmen, more than anyone, are motivated to protect the wildlife on which they depend. Bushmen tribes have inhabited the region since time immemorial. They know how best to look after their environment. Why have they been excluded from the conservation process? Not a single conservation organization stood up for the Bushmen’s human rights when they were evicted and, shamefully, the conservation industry has lauded President Khama. For example, he has been invited to host a prestigious event for the new global campaign against poaching called United for Wildlife, a coalition of the most powerful conservation NGOs. Its president is Prince William. 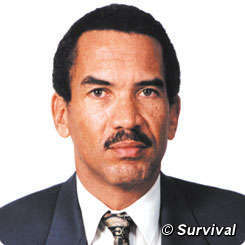 Khama is also on the board of Conservation International, which ignores his atrocious human rights record. It similarly turns a blind eye to the diamond mining and fracking exploration he encourages on Bushman land. Forced evictions of Bushmen from the reserve have nothing to do with conservation and everything to do with paving the way for extractive industries to plunder Bushman land. 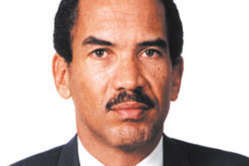 Why does President Khama continue to receive prizes for his “conservation” efforts? It’s an absolute scandal that Conservation International accepts on its board a man who has opened up the world’s second biggest wildlife reserve to fracking, whilst persecuting the Bushmen whose home it is in the name of conservation. Stephen Corry, Director of Survival International. Please join our tourist boycott of Botswana until the government respects the country’s courts and recognizes the rights of the Bushmen. Go back to tribal conservationists.